Adults with medical multimorbidity, usually defined as ≥ 2 concurrent chronic conditions, have high rates of healthcare utilization and often receive poorly coordinated care.1 Living with medical multimorbidity usually includes taking multiple medications and careful monitoring of individual diseases. The intersection of substance use and chronic disease is complex,2 as substance use can have negative effects on chronic diseases and its management. However, few studies have focused on the intersection of chronic medical disease and substance use, especially among adults with multimorbidity. 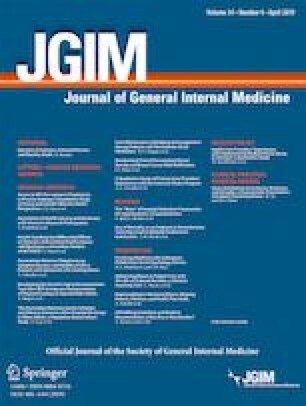 Therefore, the objective for this study was to use cross-sectional data from a nationally representative sample of adults in the United States (US) to estimate the prevalence of substance use among adults with chronic medical diseases, and to determine correlates of substance use among adults with medical multimorbidity. This work has not been presented before. The authors would like to thank Charles M. Cleland, PhD, for his statistical advice and mentorship on the revision for this paper. This research was funded by the following grants through the National Institutes of Health: K23DA043651 (Han) and K01DA038800 from the National Institute on Drug Abuse (Palamar) and T35AG050998-01 from the National Institute on Aging (Ko). The National Institutes of Health provided financial support for the project and the preparation of the manuscript but did not have a role in the design of the study, the analysis of the data, the writing of the manuscript, nor the decision to submit the present research.